Good Looks Eyewear will be hosting two summer sunwear events in May! Join us at our store in Cranberry Township on May 14th from 11am-3pm and our Pittsburgh store on May 21st from 11:00am-3:00pm. Both of these events will offer food, entertainment, prize giveaways, and o course the hottest sunglasses on the market! We also will be having vendors from your favorite designer eyewear; MAUI JIM, RAY BAN, OAKLEY, MICHAEL KORS, KATE SPADE, and VERA WANG. These are two events that you definitely will not want to miss! Tell your friends and family, they won’t want to miss these either! Also be sure to visit our Facebook’s sunwear event pages! Contact us if you have any questions! 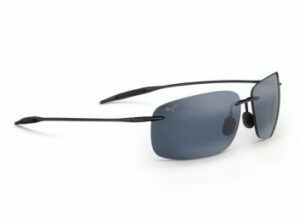 Maui Jim sunglasses with Trivex lens material found at Good Looks Eyewear. 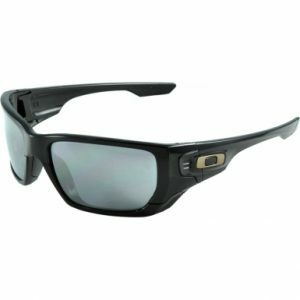 Oakley sunglasses with Trivex Lens Material found at Good Looks Eyewear. Good Looks Eyewear offers the option to put Trivex lens material in any frame from your favorite brand. Whether it be Oakley, Maui Jim, Kate Spade, Prada, or everything in between, we will happily substitute regular lenses for Trivex lenses. Clear, lightweight and strong, the technology behind Trivex material allows you to get the most from your eyewear every day and in every situation. When you wear Trivex lenses, your vision is enhanced with incredible sharpness and crystal clarity. Being that these lenses are so lightweight, they provide you with all day comfort and help reduce eyestrain. Struggling to decide between durable and strong or lightweight and comfortable? Incredible clarity or thinness? With Trivex lenses you never have to choose or compromise, this material provides all of the above. It is fully compatible with the newest digital HD lens technology for enhanced vision. Trivex lens material is available with many additional features such as glare-free/anti-reflective coatings, photochromic lenses and polarized lenses. Prada ophthalmic glasses with Trivex lens material found at Good Looks Eyewear. Kate Spade ophthalmic glasses with Trivex lens material found at Good Looks Eyewear. Stop in to either of our Good Looks Eyewear locations (Cranberry or Pittsburgh) to purchase Trivex lens material for your favorite pair of glasses! 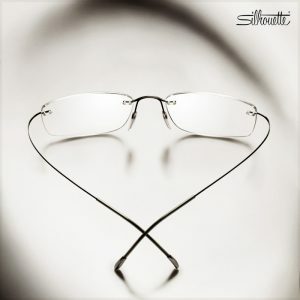 Silhouette’s design icon is therefore the most well-known rimless eyewear in the world. The glasses have been penning their unique success story since 1999, in which every one of our opticians worldwide has played a significant part. A great reason to say thank you. In the future, Silhouette will continue to trust in the passion for this groundbreaking statement of the highest and most innovative design. VISIT GOOD LOOKS EYEWEAR IN PITTSBURGH OR CRANBERRY TO PICK UP YOUR TITAN MINIMAL ART SILHOUETTE GLASSES TODAY!